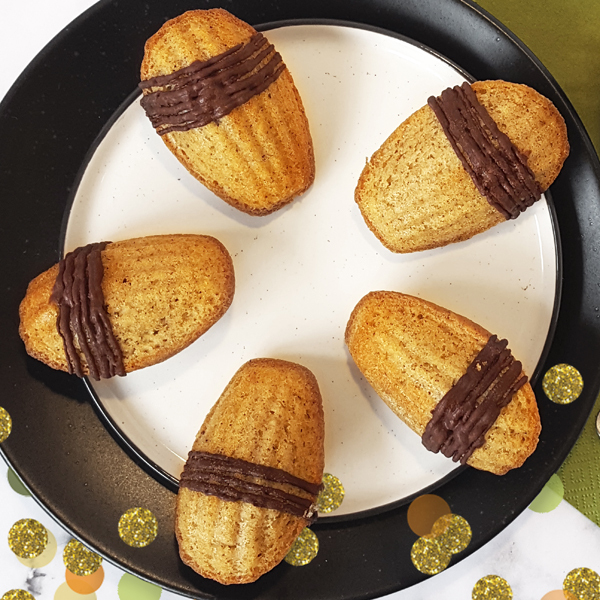 Delight your family with these seriously chocolatey Easter madeleines! 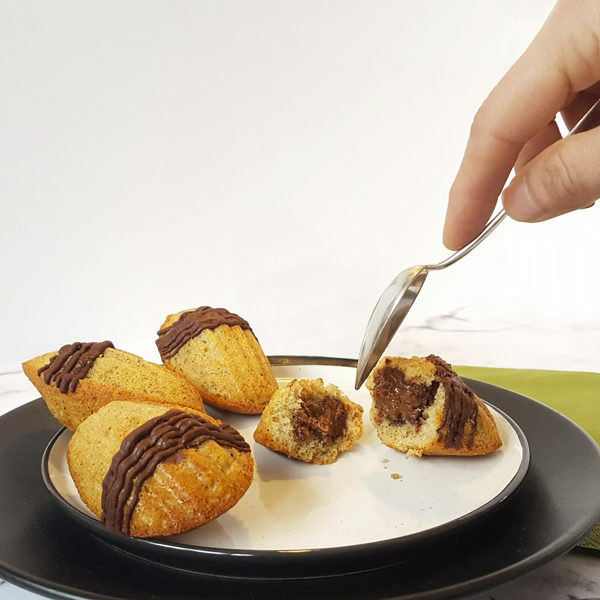 Our vanilla little sponge cake is filled with a rich hazelnut & chocolate spread and decorated with intense dark chocolate stripes. 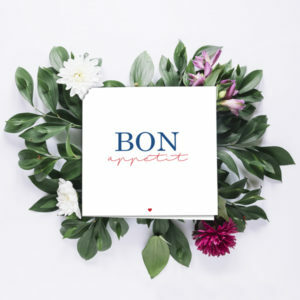 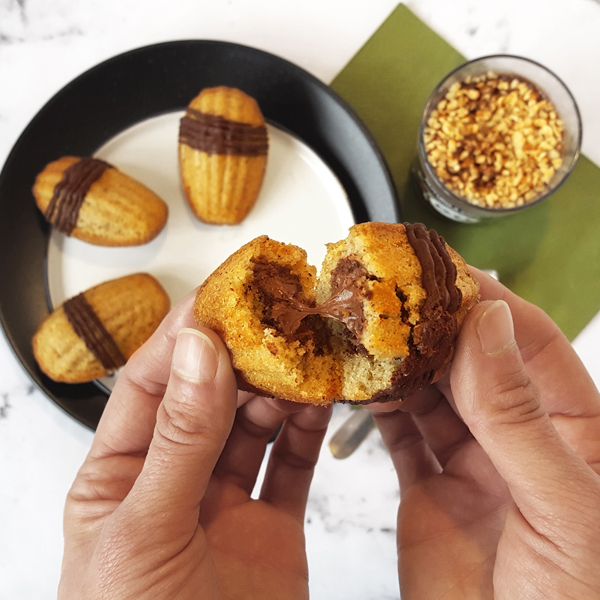 Paired with our very popular chocolate madeleine ‘Biarritz’, this indulgent Easter box is very addictive! 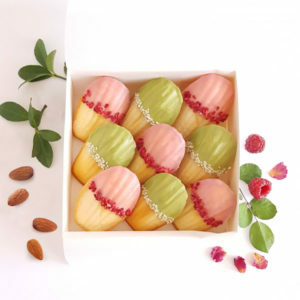 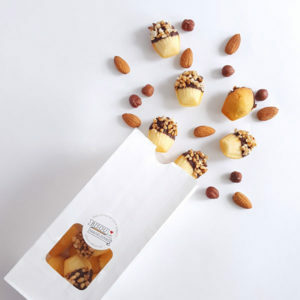 Easter madeleines : Butter, wheat flour, eggs, sugar, hazelnut & chocolate spread (hazelnuts, sugar, sunflower oil, lactose (milk), fat-reduced cocoa powder, cocoa butter, coconut oil, shea oil, salt, sunflower lecithins), milk, baking powder, vanilla seeds. 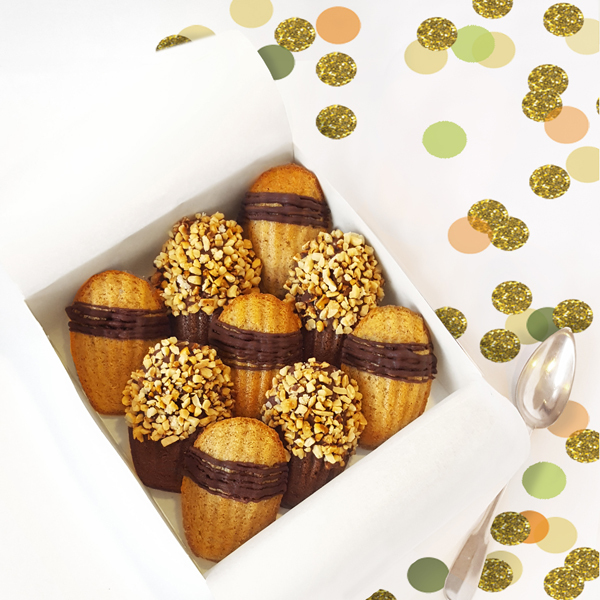 Biarritz madeleines : Butter, wheat flour, eggs, sugar, dark chocolate (cocoa 54.5%), caramelized nuts (walnuts, peanuts, almonds), milk, cocoa (cocoa 100%), baking powder.